Internet has changed the way people do their shopping and a huge number of people are using the web for purchasing a wide array of items ranging from shoes to airplane tickets. Online shopping has become a popular trend because of some outside factors such as difficulty in reaching traditional stores, hikes in gas prices and the hassles that are typically associated with shopping in large departmental stores and malls. However, there are also some major benefits that are offered by online shopping, which has made it an excellent option for all those busy people. Therefore, conventional shopping is going into the background while web shopping is becoming popular. The vast majority of the stores online sell things at prices that are considerably lower as compared to physical stores. There are several reasons why this practice has become the norm. Firstly, people are in the habit of surfing the internet to find cheaper items so online businesses reduce their profit margins for attracting customers. Secondly, because they don’t maintain actual stores, their costs are lower so they can sell at reasonable prices. Online shopping is also highly convenient. There is no longer any need to get dressed and drive all the way to a store. You don’t have to deal with throngs of traffic and waste your precious and valuable time. Now everything is just a click away. You can stay in your pajamas and visit the website of the store to buy what you want. Another reason why this is convenient is that people don’t have to wait around for the store to open. If you have an erratic schedule and can’t get the time to shop, you can do it at the last minute or even from your office. Moreover, there is no hassle of going from store to store as you just have to visit different websites. Most traditional stores only have a limited variety of products available. They cannot hold an endless list of items and there are also a lot of policies impacting the availability of products. When people choose to shop online, they will be able to locate a myriad of products that they wouldn’t have found otherwise. It is also possible to find different products in one place unlike regular stores. 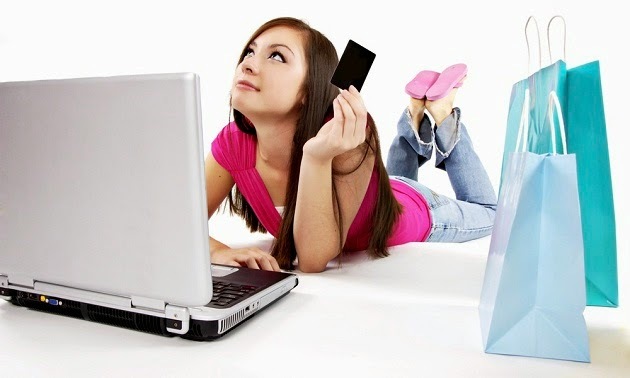 One of the most notable benefits that people can enjoy through shopping online is the ability to compare with ease. People don’t have to run from store to store comparing the prices and features of products. It requires a lot of running between stores and navigating through crowds. With online shopping, people can simply open a couple of tabs on their browser with websites of different stores. These websites also have reviews and features listed separately so comparison shopping becomes a lot simpler for individuals. There are also plenty of shipping options also available so online shopping is a huge comfort to people.